In his liner notes to Real Animal, filmmaker Jonathan Demme pegs Alejandro Escovedo as "an abstract expressionist historian of his and our past, of emotion and desire." It's an apt description indeed. 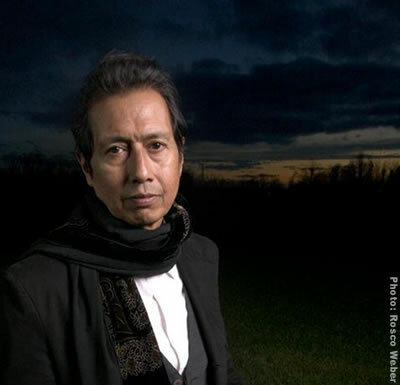 Escovedo, the Americana icon who famously reigned as No Depression magazine's "artist of the decade" for the 1990s, does many things well and most of them are on prominent display on the new record. More to the point, though, the album functions as a seething, churning, and at times achingly reflective memoir of the soul. We're talking living, breathing history here. And what better tour guide than a cat whose track record includes memorable forays into punk, glam, nascent alt-country, folk, gut-bucket rock, and a wholly original brand of rootsy chamber pop? Not to mention one whose inner world has been scarred and shaped by years of road rigor, substance abuse, chronic illness, fatherhood, personal tragedy and, ultimately, artistic triumph and recognition in the face of all the above. The 13 songs on Real Animal, all co-written with San Francisco-based kindred spirit Chuck Prophet, range across the stylistic territory Escovedo has mapped out over the past 30 years. You've got ruminative ballads ("Sensitive Boys"), bluesy swagger ("People"), shimmering folk-rock melodicism ("Sister Lost Soul") and more. Thanks in part to the guiding hand of veteran producer Tony Visconti, the raucous numbers throb with particular power, from the CBGB's bounce of the set-opening "Always a Friend" and the seamy, metallic grind of "Chelsea Hotel," to the Stooge-y snarl of "Smoke" and "Real As An Animal" and the slash-and-sneer defiance of "Chip 'n Tony." Ian Hunter, Lou Reed, the New York Dolls, the Pistols, Rank & File, Bowie, Iggy and others less recognizable but equally essential. They're all here in spirit. But the unifying vision radiates from a guy who's emerged from the treacherous front lines of a generation's alternative music culture with his compassion, empathy, and will to rock through adversity very much intact. As Escovedo sings on "Slow Down," the new album's gorgeous closing track, "Slow down, slow down / Yeah, it's too fast / To love in this moment / Got to let go of the past / Slow down, it's too fast / Want to live in this moment / But I'm tangled in the past." It's a story that all of us can relate to, and set to a soundtrack this resonant and powerful, one that elevates struggle into celebration.